Even though India does not boast of a strong off-road vehicle culture, the off-roading vehicles are quite popular in the country. Taking things forward, a joint venture between two companies will soon bring in India’s most extreme off-road vehicle. A partnership between Preferred Chassis Fabrication and India’s Sarbloh Motors has partnered to form a new company called IronScorpion HMV Pvt. Ltd. Dwaine Jungen of Preferred Chassis Fabrication and Jaskirat Singh Nagra of Sarbloh Motors have teamed up to launch an extreme off-road vehicle called Scorpion MK IV. Here’s all you want to know about the new vehicle. Scorpion MK is a highly capable vehicle that was developed in 1997. US Army also uses the Scorpion MK vehicles for reaching tightest corners of the planet. IronScorpion is now preparing to bring in these highly competent vehicles to the Indian soil. According to Jaskirat Singh Nagra, Director, IronScorpion HMV, these vehicles will be assembled in India soon. The chassis and engine will be built in India while other mechanical parts like the transmission and 4X4 transfer case will be imported from the USA. At a later stage, the vehicle may become fully localised and get exported from India. That sounds interesting, what can it do? The Scorpion vehicle that will come to India will be the MK IV. 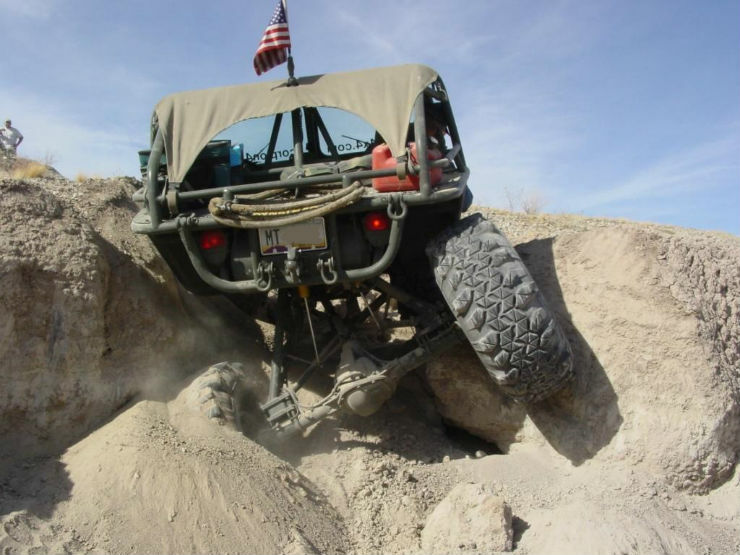 The vehicle is a juggernaut on the road and can go through most extreme surfaces. The vehicle comes with a revolutionary suspension system that allows huge articulation. The same helps the vehicle to keep all the four tyres on the ground in almost any situation. This incredible capability makes the Scorpion MK IV and unstoppable vehicle. Also, the suspensions allow a very smooth and soft ride to the occupants, making it much easier to drive around than other off-road vehicles. In the USA market, the vehicle comes with both petrol and diesel engines. The petrol engine is a 5.7-litre V8 while the diesel engine is a 4-cylinder 3.9-litre engine from Cummins. Given the demand of the Indian market, the vehicles may only feature the diesel engine. The vehicle uses transfer case from Atlas. Also, the vehicle gets ventilated disc brakes at all the four wheels. Everything is set-up around a 2-inch thick tubular Uni-body frame. The vehicle weighs around 2000 kg. The vehicles are highly customisable and may come with many optional accessories. IronScorpion HMV says that the vehicles will be road legal and will go through all the homologation process by ARAI. This will be the first instance of an off-road buggy being road legal in India. The first demo vehicle will land in India by July. The company plans to produce two prototypes of the vehicle by September and then go into production by January 2018. Sadly, the cost has not been mentioned as of now. The cost will highly depend on the percentage of localisation achieved but to make it widely popular, IronScorpion will try to keep the price tag in reach of most enthusiasts. The arrival of the Scorpion MK IV will prove to be a great choice for off-road lovers in India.